Terri Wangard: Who Wrote "It Is Well With My Soul"
Who Wrote "It Is Well With My Soul"
Many Titanic victims are buried in Halifax, Nova Scotia. A tour guide at the cemetery told us one of the survivors who lost his family wrote the words to “It Is Well With My Soul.” I knew he was wrong, but I didn’t care to challenge him. A glance in a hymnal will tell you the words were penned by Horatio Spafford, born in 1828. He was a successful attorney and real estate investor who lost a fortune in the great Chicago fire of 1871. 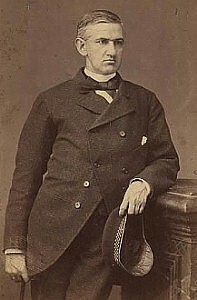 Horatio and Anna had a son Horatio, born in 1875 or 1876, and another daughter, Bertha, in 1879. More tragedy in 1880 was theirs when their son died of scarlet fever. The church they attended believed the family tragedies were the result of divine punishment. The Spaffords withdrew their membership and moved to Jerusalem, where they established the “American Colony,” offering aid to those in need, regardless of race or religion. Another daughter, Grace, had been born in early 1881, and in August of that year, they began their journey. 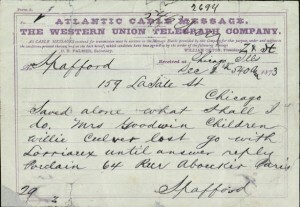 Horatio Spafford died of malaria on October 16, 1888, and is buried in Mount Zion Cemetery in Jerusalem. What a sad story. They surely had tragedies in their lives. What a blessing to have faith in God to comfort them. My favorite hymn. I knew about the tragedy, but didn't know the Spaffords went on to have more children and moved to Jerusalem. Thanks for posting.